The £42 million redevelopment of Jersey Airport has been put on hold. 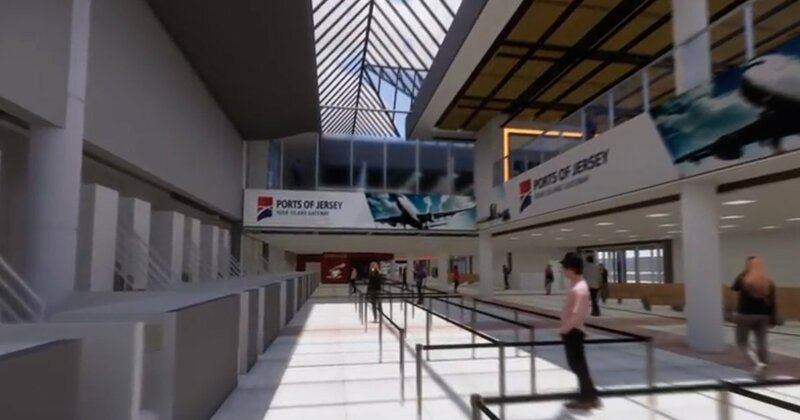 Ports of Jersey has made a revised planning application, bringing forward work to upgrade the passenger pier to the departure gates. "Previously we were just looking at the integrated terminals - so we were combining departures and arrivals - and a later phase the pier was going to be addressed as well. So the ageing pier, where people have complained about temperature, seating, the environment, things like that - that's now all going to be upgraded in line with the integrated terminal and we'll have a two-level pier." Work is likely to be delayed by around 3 or 4 months. Ports of Jersey is also still trying to resolve a pricing dispute with the competition regulator and says it's prudent to 'hold back' on funding the work until a decision is made in June. In the meantime, a 30 metre no-traffic exclusion zone outside the terminal buildings is being brought forward. Plans for a revised road layout and new drop-off and pick up zones will be published within the next three months and open to feedback.